Surprise your customers with your hidden message on this heat sensitive mug! The custom Magic Mug looks plain but magically reveals your printed picture or logo when filled with a hot drink. 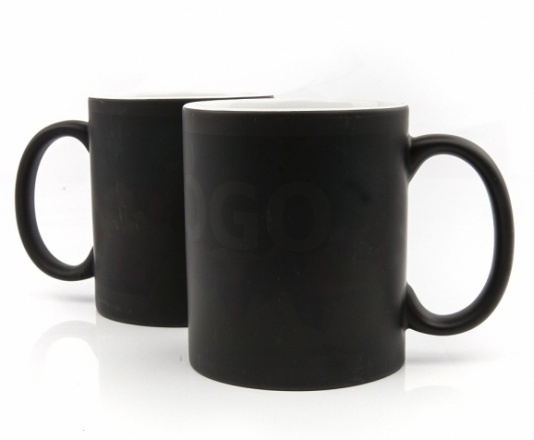 A thermal reaction makes the black coating of the mug disappear to show a full colour print message or photo. Example price for Magic Mug with full colour wrap print.